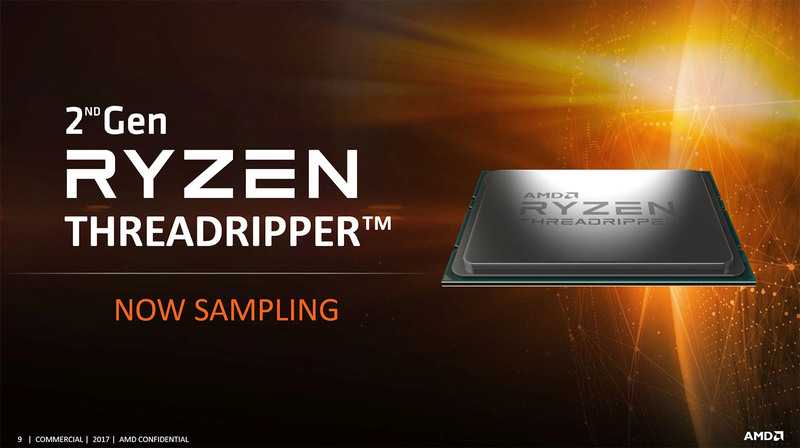 AMD has confirmed that the second generation Threadripper is now sampling. AMD’s HEDT platform will soon receive an update with a new line of Ryzen processors. The Ryzen Threadripper 2000 will utilize 12nm fabrication process, which will likely allow AMD to increase power efficiency and overall frequency in single and multi-threaded applications. AMD has provided an update about new HEDT platform during Ryzen PRO 2000 announcement. The next generation Threadripper is already being sampled and it should now be available to all partners. This means that Q3 launch seems very likely, continuing year to year refresh cycle. AMD has listed three Threadripper 2000 SKUs, which are likely to receive the same core count as their predecessors.